After a three-year absence, Michael McIntrye is back on the road with his new stand-up show, Happy & Glorious. His previous tour, Showtime, was the biggest-seller in the world in 2012, playing to over 640,000 people. That included a record-equalling ten-night residency at London’s 02 Arena, matching the figure set by Rihanna the previous year. Ahead of his upcoming shows in Newcastle, Liverpool and Leeds, he answers five of our questions. Hi Michael. How do you feel about taking Happy & Glorious on the road? There is huge excitement about having done the work in lots of warm-up shows and knowing that the jokes are funny. I really, really love stand-up. I did a Comedy Gala in Brighton recently to 2000 people, and it was so lovely to be out there again. It’s wonderful to be able to share my new jokes with people. How do you prepare for playing to such big crowds? I’m bringing everything to this show – voices, physical comedy, the works. That way, I can really paint pictures on stage. If it’s genuinely working, you hit sections that are very funny and the audience just lap it up. I now know that every time I reach a certain bit, they’ll applaud. My job is to get the whole show to that level. I’m so excited about it! The last thing I want to do is just bang the show out. I want to say to people, ‘Come into my world’. I want to get them in the palm of my hand. What can you tell us about the new show? You look at the things in my life, and they’ll be my material. Holidays, hotels, motorway services – that’s my life. Anything is ripe for comedy. I’ll be discussing health stuff and the fact that I’ve lost a lot of weight. And as always, I’ll be talking about my children. They’re in my life, and they’ll always be in my jokes. I’ve bought a house in the country that has given me twenty minutes of material. I used to flick through Country Life magazine – they tend to be in dentists’ waiting rooms. Over the years I’d look at page after page of gorgeous country cottages. It was a fantasy of mine to have an idyllic place in the rolling hills, so finally I bought one. But sadly I didn’t realise what I was getting into. When I flush the loo in London, I don’t for a moment think about the plumbing. It just happens. But it turns out that idyllic houses in the middle of nowhere don’t have plumbing. They have septic tanks that you have to empty once a year. They don’t highlight that in the estate agents’ brochures. People always say, ‘the previous owners left all their crap behind.’ Well, I’m literally in that situation! What makes a successful tour for Michael McIntyre? I just want to make the audience laugh till their faces hurt. I simply love making people laugh. 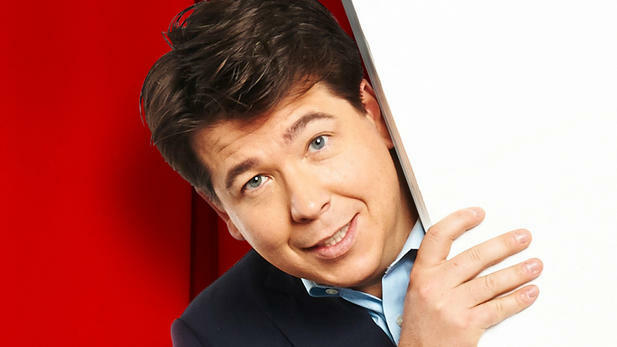 Michael McIntyre: Happy and Glorious is currently touring the UK, with upcoming dates in Newcastle, Liverpool, Leeds and more. For details, see michaelmcintyre.co.uk. The show will be released on DVD and Blu-ray from Monday 16 November.